Four Ethiopian runners who vanished Saturday from the 2014 IAAF World Junior Championships in Eugene, perhaps seeking asylum in the U.S., would have much to put behind them by leaving their home country. Poverty, regional instability, human rights abuses and disease plague Ethiopia, which fought a crippling border war with Eritrea from 1998 to 2000, and more recently has sent troops to fight the jihadist group Al-Shabaab in neighboring Somalia. 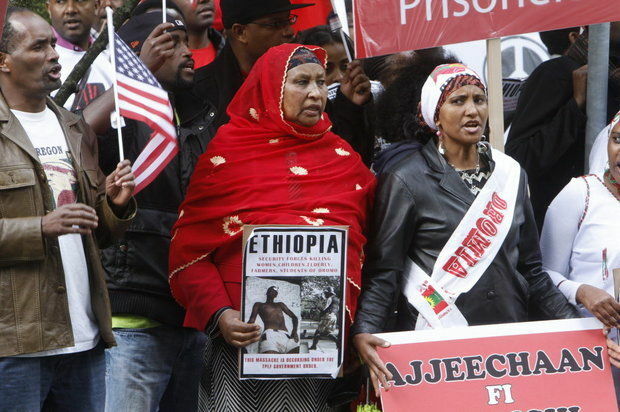 Protesters spilled into streets from Portland to St. Paul Minnesota last spring in response to news accounts that 11 students were killed in clashes with Ethiopian police forces. The purchasing power of the nation’s 96.6 million people stands at 69th globally, but per capita income has remained among the lowest in the world, according to the CIA’s World Fact Book. 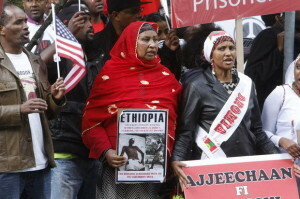 The U.S. State Department estimates that more than 1 million people of Ethiopian origin live in the United States, with a great number of U.S. groups providing humanitarian support to Ethiopians. “Ethiopia’s weak human rights record creates tension in our relationship, and we continue to push for press freedom, appropriate application of anti-terrorism legislation, a loosening of restrictions on civil society, greater tolerance for opposition views, and religious dialogue,” State Department diplomat Donald Y. Yamamoto, the acting assistant secretary with the Bureau of African Affairs, told a House subcommittee in June 2013. During the Cold War, athletes from Communist nations such as the Soviet Union and East Germany sometimes used international competitions to defect to Western nations. The phenomenon has been picked up by young East Africans, although for generations, U.S. universities have given full scholarships to promising – and often world-class – long-distance runners from Africa. The four Ethiopian runners who slipped out of Eugene, reported missing on Saturday, had already run their events, according to a story in Reuters. They were Amanuel Abebe Atibeha, 17,who ran the men’s 800 meters, and three 18-year-old women:Dureti Edao, (800 meters), Meaza Kebede (400 meter hurdles), Zeyituna Mohammed (800 meters). East African distance runners – from Ethiopia, Kenya and Djibouti – dominate global performance in track and field, and road racing. As of Saturday, East Africa’s women runners led the world in every track event from 3,000 meters to the 10,000 meters, including the 3,000-meter steeplechase. East African men topped the world charts in the 1,500 meters, mile, steeplechase and 5,000 meters. The only non-African on the men’s list is Galen Rupp, the former University of Oregon standout and silver medalist at 10,000 meters in the London Olympic Games. Rupp leads the world at 2 miles and 10,000 meters.